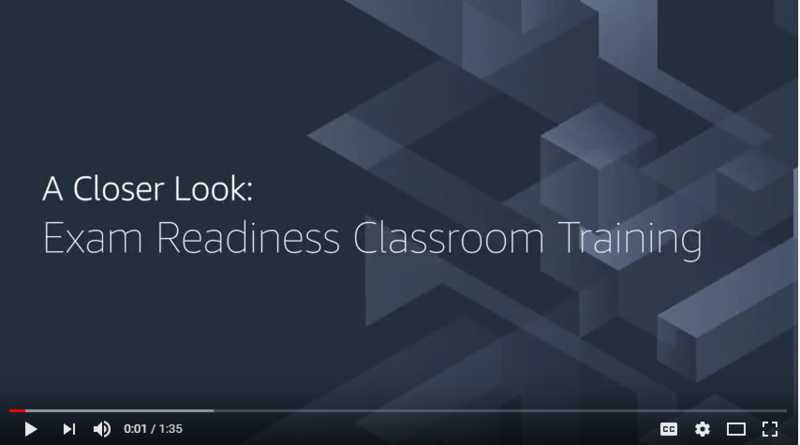 We’re excited to announce the launch of seven Exam Readiness courses to help you prepare for AWS Certification. Built by AWS, these courses are designed to help you prepare for the Solutions Architect, Developer, DevOps Engineer, Big Data, and Advanced Networking exams. Specifically, the Exam Readiness: AWS Certified Solutions Architect – Associate course has been updated to reflect the newest version of the exam released earlier this year. These new courses complement our technical training courses and focus on enabling you to validate your technical expertise with AWS Certification. We’ll teach you how to interpret exam questions, apply concepts being tested by the exam, and allocate your study time. You’ll also have a chance to work through sample questions to understand the rationale behind correct and incorrect answer choices. Training is developed by AWS so our courses are current with the latest best practices. Plus, our classes are taught by AWS accredited instructors who have personal experience passing AWS Certification exams, and can help you identify areas for additional work and study. Watch our video to hear more about these courses from our curriculum development manager. Find and register for a class near you at aws.training. Looking to train several members of your team? You can also contact us for private, onsite training for your team. Questions? Review our FAQ or contact us.